This is the pre-publication version which was subsequently revised to appear in Creation 32(3):56. Dragons are often portrayed as having fanciful features like wings, bizarre horns and claws. In the case of Dracorex, it’s only a small stretch of the imagination to add wings; the rest of its body is already very much like a western dragon. Perhaps the reason why dragons are so popular in today’s mass media is because people once walked with dinosaurs like Dracorex! However, dragons are often portrayed as having fanciful features like wings, bizarre horns and claws, and the ability to breathe fire. The name Dracorex hogwartsia comes from two very different sources. Dracorex, from the Latin meaning ‘dragon king’ and hogwartsia from author J.K. Rowling’s (disturbing to me) ‘Harry Potter’ series of children’s books after the fictional ‘Hogwarts School for Witchcraft and Wizardry’. It is very possible, even highly likely, that many of the dragon legends that are known in some cultures are the distorted memories of when people lived with dinosaurs. However, in the case of Dracorex it seems that dragon legends may not have been greatly distorted from the real thing. Normally, if historical experiences are not written down, but passed orally from generation to generation, errors creep in. The pattern over time is that experience becomes memory, memory becomes legend, and legend becomes myth. The Gilgamesh epic is a great example of this.6 The tablets on which the story is written date to about 650bc.7 Noah’s Flood took place about 1700 years before that time. Although there are strong similarities between it and the biblical record, over that vast amount of time the details of the Flood were significantly distorted. On the other hand, the biblical record of the Flood was likely written by those who experienced it first hand—Noah’s family. Later, these written accounts were passed to Moses, who, under the direction of the Holy Spirit, assembled them and wrote the remainder of Genesis. 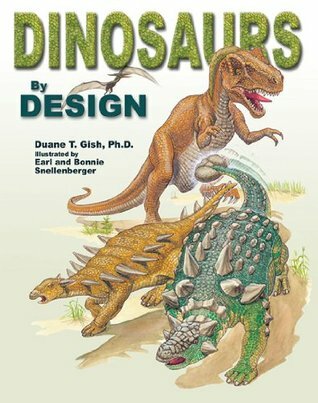 Evolutionists have established elaborate classification systems for what they believe are many different ‘kinds’ of dinosaurs. According to a recent evolutionist study9, 530 genera of dinosaurs have been discovered and named (as of mid-2006) but there are an estimated total of around 1,800 genera of dinosaurs. So more than 70% have not yet been discovered. These numbers are based on evolutionary assumptions about (among other factors) the ‘incompleteness of the fossil record’ and dinosaur diversity during the various stages of the so-called ‘age of dinosaurs’, which supposedly lasted for about 180 million years. Without the evolutionary spin, the number of ‘branches’ on the family tree of dinosaurs drops dramatically, to perhaps around 50 different created kinds. Diversity within a kind can be very large within some groups like the Pachycephalosauria. Another group of animals with a large amount of variation is the (more familiar) dog kind. The ‘change within a kind’ that scientists observe, and which is an important part of the creation model, has nothing to do with ‘molecules-to-man’ evolution. 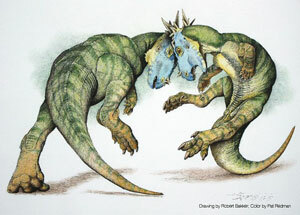 Dracorex is yet another example of variation within a kind. 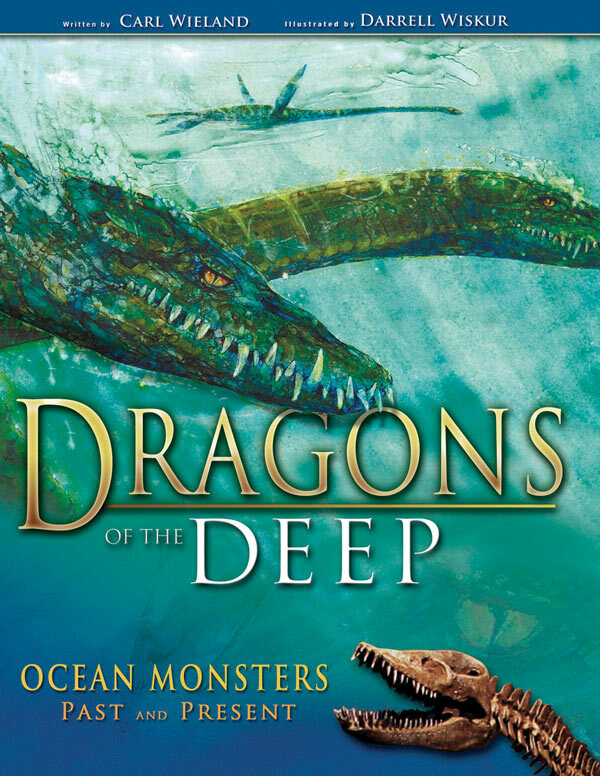 The remarkable features observed in this variety of dinosaur make the link between dragon legends and real dinosaurs even more solid. They also make it look really cool! 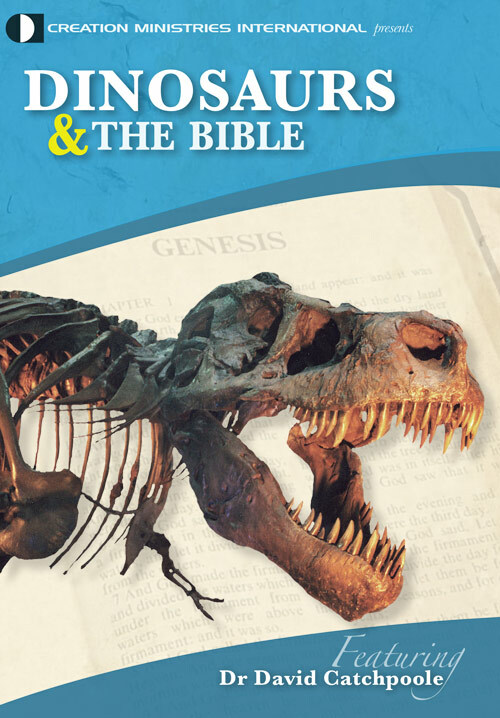 For more information on how dinosaurs fit into the history recorded in the Bible see Chapter 19 in The Creation Answers Book. Russell Grigg, Dinosaurs and dragons: stamping on the legends, Creation 14(3) p. 10–14 Jun 1992. Return to Text. Don Batten, Crouching Tiger, Hidden Dinosaur? Creation 23(4) p. 56, Sep 2001. Return to Text. For details see, Robert Bakker et al, DRACOREX HOGWARTSIA, N. GEN., N. SP., A Spiked, Flat-Headed Pachycephalosaurid Dinosaur from the Upper Cretaceous Hell Creek Formation of South Dakota, New Mexico Museum of Natural History and Science Bulletin 35. pp. 331–345 Return to Text. The Hell Creek formation is well known among creationists for producing remarkably fresh dinosaur bones. See Sensational Dinosaur Blood Report, Still Soft and Stretchy, and Schweitzer’s Dangerous Discovery. Return to Text. Video on the Children’s Museum of Indianapolis website Return to Text. For a detailed comparison see, A comparative study of the flood accounts in the Gilgamesh Epic and Genesis Return to Text. Though the story is believed to derive from before that time. Return to Text. Some palaeontologists have suggested that Dracorex hogwartsia (and also Stygimoloch spinifer) is actually an immature form of Pachycephalosaurus wyomingensis—i.e. different names were unwittingly given to the juveniles and adults, when in fact they’re the same creature (see also: Dinosaur naming errors, Creation 31(4):9, 2009). Williamson, T. and 3 others, Early ontogeny of pachycephalosaurine squamosals as revealed by juvenile specimens from the Hell Creek Formation, eastern Montana, Journal of Vertebrate Paleontology 29(1):291–294, 2009. Return to Text. Steve C. Wang and Peter Dodson, Estimating the diversity of dinosaurs, Proceedings of the National Academy of Sciences, Sep 12, 2006, Vol 103:37 pp. 13601–13605. Return to Text.